Recently, the U.S.D.A. and Softwood Lumber Board announced the winners of the 2015 U.S. Tall Wood Building Prize Competition. The winning designs were awarded $3 million to support tall wood demonstration projects. 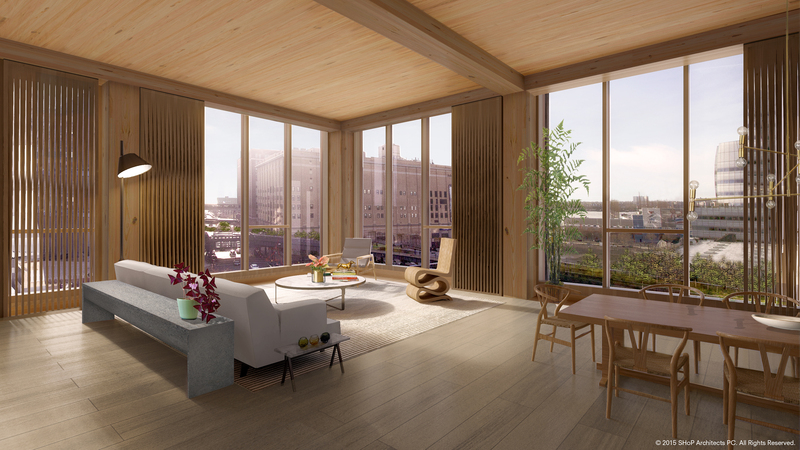 The East Coast winner is 475 West 18th in New York City, a residential condominium building proposed by 130-134 Holdings LLC, in partnership with Spiritos Properties, SHoP Architects, Arup, Icor Associates, and environmental consultancy Atelier Ten. The West Coast winner is Framework, an urban and rural ecological project located in Portland, Oregon. 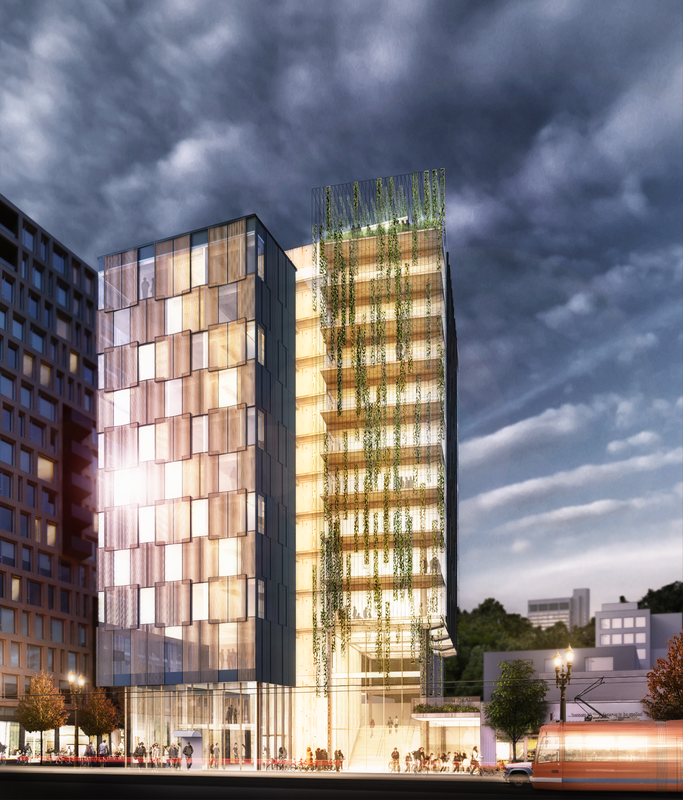 It is anticipated to be one of the first tall timber structures in the country at 12-stories. The building is described as consisting of one level of ground floor retail, 5 levels of office, 5 levels of workforce housing and a roof top amenity space. See the winners and learn more about the U.S. Tall Wood Building Prize Competition.